* Now we shall introduce ourselves to the vector form of the Bragg equation, viz. through a geometrical construction called the Ewald sphere. Step 1: We start with a given set of reciprocal lattice points Step 2: We draw a vector AO in the direction of the incident X-ray so that the length of the vector BO =AO/2 = 2*pi*wavelength Step 3: Next we draw a circle with B as center and BO as radius. Let this circle pass through a reciprocal lattice point C Step 4: We join OC and BC Step 5: We join AC and draw EH parallel to AC. That does it. Note, k is the incident wave vector on the set of parallel planes of the crystal lattice and G is the reciprocal lattice vector which would make the occurance of a Bragg diffracion maxima possible. Use the button(s) at the bottom of the box to have a pictorial understanding of the steps. 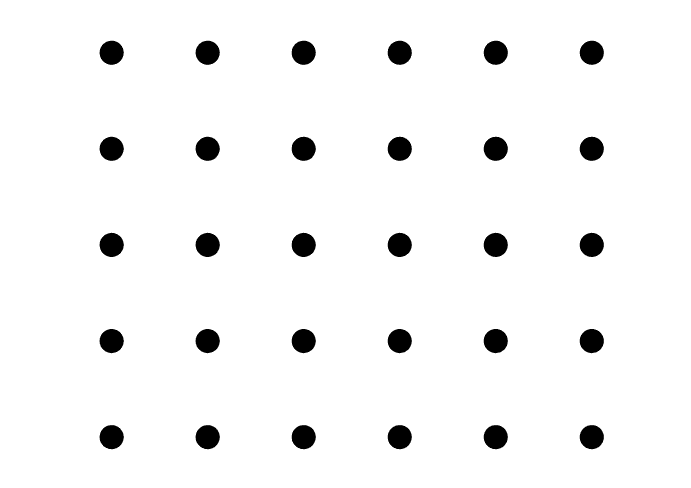 (i) We start with a given set of reciprocal lattice points. (ii) We draw a vector AO in the direction of the incident X-ray so that the length of the vector BO = (AO/2) is |BO|= (2 / ). is the wavelength of the incident radiation. Therefore BO is nothing but the incident wave vector k. Let us consider the terminal point of k i.e.O as the origin of the reciprocal lattice space. (iii) Next we draw a circle with B as center and BO as radius. Let this circle pass through a reciprocal lattice point C.
(iv) We join OC and BC. OC must therefore represent a reciprocal lattice vector G = which again must be perpendicular to the (hkl) planes of the direct lattice. Let k =|k| and k/ =|k/|. Since AB=BC, therefore k = k/ = (2 / ). * Extrapolating the construction to three-dimensions we obtain the Ewald's sphere. We therefore observe that when a sphere is drawn on a reciprocal lattice with radius equal to the magnitude of the wave vector, i.e., k = (2 / ) and centred at the origin of the wave vector k, and if it intercepts a point in the reciprocal lattice, then Bragg's law is found to be satisfied. The sphere is then called the Ewald's sphere.